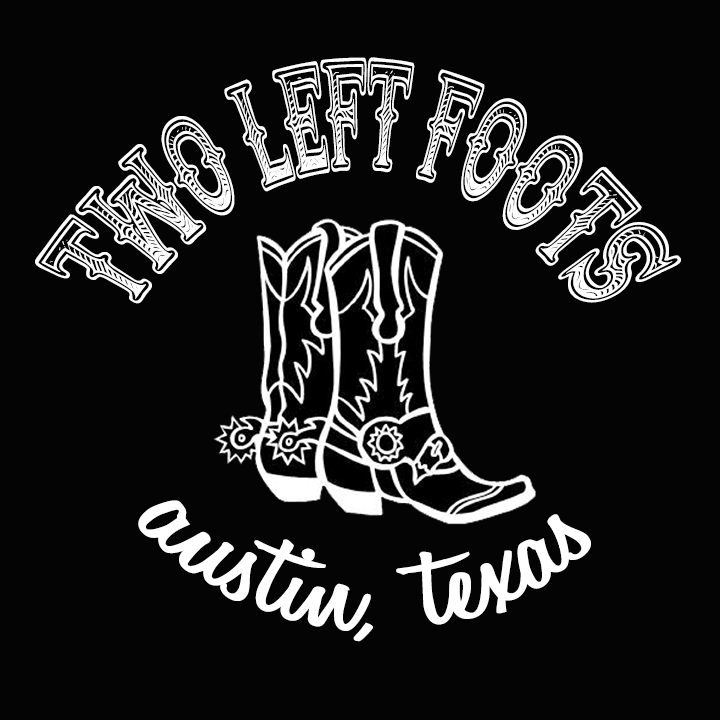 We've been telling our customers about dance lessons from Two Left Foots for a while now. It's because they're really nice folks who know what they're doing and never forget that it's all about the fun. Plus, what better souvenir to take back home than the Texas Two-Step!? Seriously. It's great fun, good music and time that you'll never forget. They teach two lessons a week and they do it for donations! "Saturdays at 7pm at the White Horse (500 Comal): The first and still the best two-step lessons on the east side, this is a huge beginner-beginner lesson with lots of emphasis on the basics. Dave Insley plays at 8 so folks can practice their new moovs. Mondays at 8pm at the Rattle Inn (610 Nueces): We do a beginner lesson with a different beginner/ intermediate turn each week at the Rattle, and we work with a rotating cast of awesome local bands like Anthony Ray Wright and Fingerpistol."